Alvaro Castagnet is an Uruguayan artist of world renown that has been honored in numerous art competitions. He is a sucessful author who travels the world attending exhibitions, hosting workshops and participating as a member of the jury for international art events. 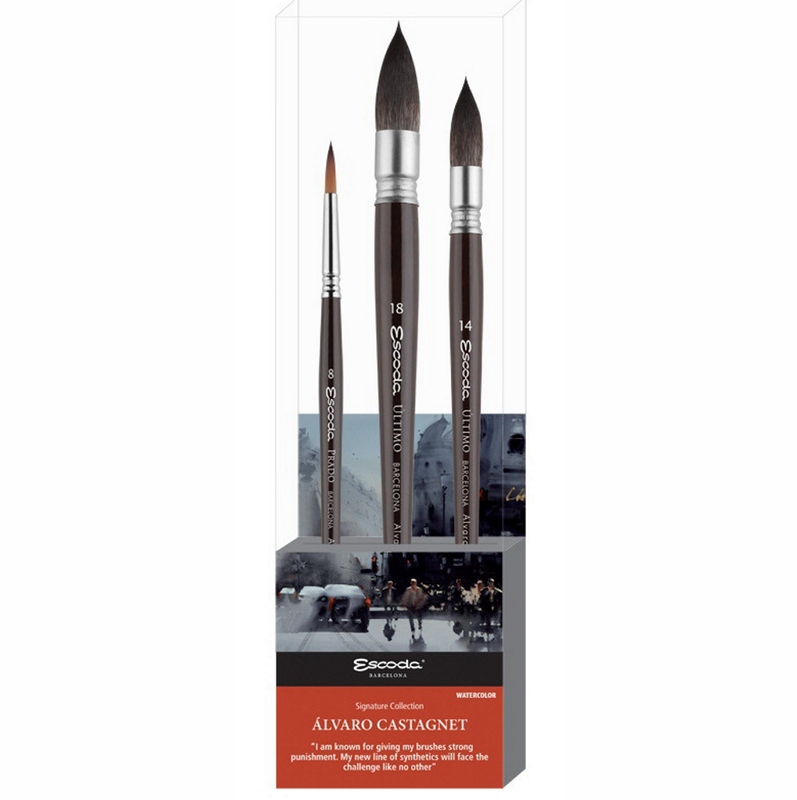 This set contains the Escoda Ultimo brush sizes 14 and 18 and the Prado brush size 8. 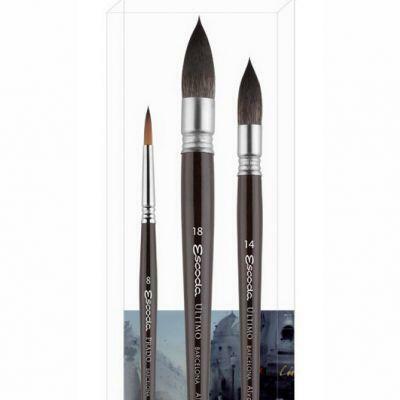 Click on the 'Information' tab above for further details about the brushes included in this set.